This refreshing jicama slaw is not your usual "slaw" recipe. It's spicy & sweet, and is quite a treat. :) Jicama, also known as the Yambean or Mexican potato, has a crisp, clean flavor with a crunchy texture similar to that of water chestnuts or apples. It's also quite healthy for you: Jicama in rich in fiber, potassium, and Vitamins C & E. It's also low in sodium (only 5 mg. per cup) and contains zero fat & cholesterol. 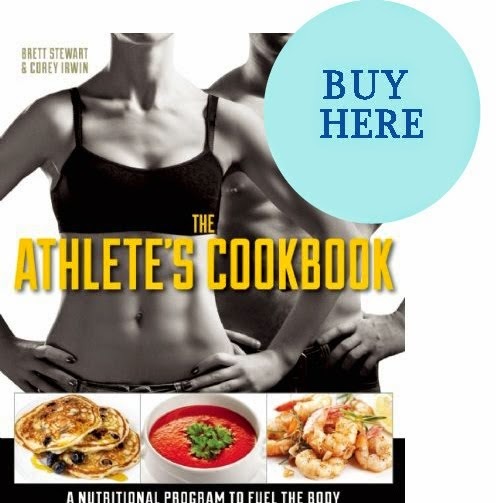 Due to its high-fiber content, it's a very filling selection and is often credited as natural "weight loss" food. This jicama slaw makes an excellent accompaniment to foods served at a barbecue or picnic -- from juicy burgers and hotdogs to grilled chicken and vegetable kebabs. Jicama slaw also goes exceptionally well with spicy Mexican dishes like fajitas or burritos, Asian stir-fries, or Mediterranean/Middle Eastern foods. You can either serve it plain, or add some of the optional ingredients below. It's particularly good mixed with cold noodles. Directions: To prepare the shredded vegetables, use a food processor with a shredder blade. You can also use the food processor to make the dressing. 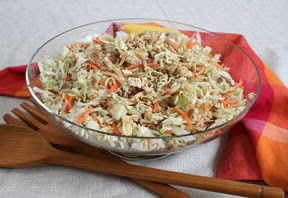 Thoroughly toss together slaw ingredients and dressing in a large serving bowl. Chill in refrigerator for at least 15-30 minutes before serving, to allow flavors to develop. Serve and enjoy! Yield: 6 servings as a main course, or 12 servings as a side dish. Chef's Notes: When buying jicama, look for vegetables with unblemished skin that are relatively dense in weight for their size. Unpeeled jicama will keep in the refrigerator for up to three weeks.